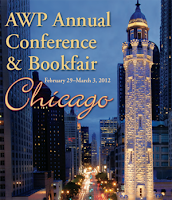 With such a whacky winter, it’s no wonder it feels like AWP snuck up on us. If you’re like me, it still feels weeks (months?) away. But, behold, this wonderful annual conference is upon us – next week! I hope to see many of you at Chicago’s 2012 AWP Conference and Bookfair. I’m happy to again be leading a panel discussion on low-residency MFAs (details below) and have a table space provided for me, courtesy of my fantastic publisher Continuum Books/ Bloomsbury. I’ll be in the bookfair Thurs-Sat to meet, greet, and promote The Low-Residency MFA Handbook: A Guide for Prospective Creative Writing Students. I’ll have a few handfuls of copies on hand if you’re looking to pick one up at the conference. Last year I sold out by Friday afternoon, so be sure to stop by Table A5 and say hi early on this year! Author Patricia Florio will join me at the bookfair table to promote her recent book My Two Mothers, as well as the East Meets West, American Writers Review. Poet, memoir, and fiction writer Sandee Umbach will join me at the table, Thursday-Saturday. 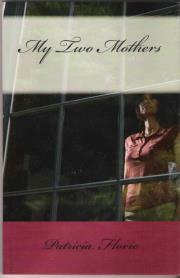 Sandee will have on hand a few copies of her new full-length collection of poetry, The Pattern Maker’s Daughter. Description: Program directors and faculty will discuss innovative approaches to providing pedagogical training for low-residency students. Discussion will include the unique challenges and opportunities presented via distance and limited on-campus study, and how low-residency programs are incorporating student-teacher training. Panelists will share personal experiences, speak to how programs provide pedagogical training for current students, and discuss what program services are available to alumni. Danita Berg is the Red Earth MFA Director at Oklahoma City University. She holds an MFA in Creative Writing from Goddard College and a PhD in English from the University of South Florida. She has published creative work in Redivider, Southern Women’s Review, and the Press Pause Now Anthology for Women, among other publications. Clark Knowles teaches writing at the University of New Hampshire. His fiction has appeared in Pank, Glimmertrain Stories, Inkwell, and others. The New Hampshire State Council on the Arts awarded him an Individual Artist’s Fellowship for the year 2009. He received his MFA in Writing and Literature from Bennington College. Jim Warner is the Assistant Program Director in the Wilkes University low-residency MA/MFA program. 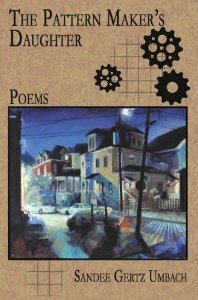 His poetry has appeared in journals including Drunken Boat, Word Riot, and the anthology In The Arms of Words, Poetry for Disaster Relief. He is the author of a poetry collection, Too Bad It’s Poetry. In 2006, Jim was the recipient of the Norris Church Mailer Award. Here’s hoping we have some decent weather next week. See you in Chicago!